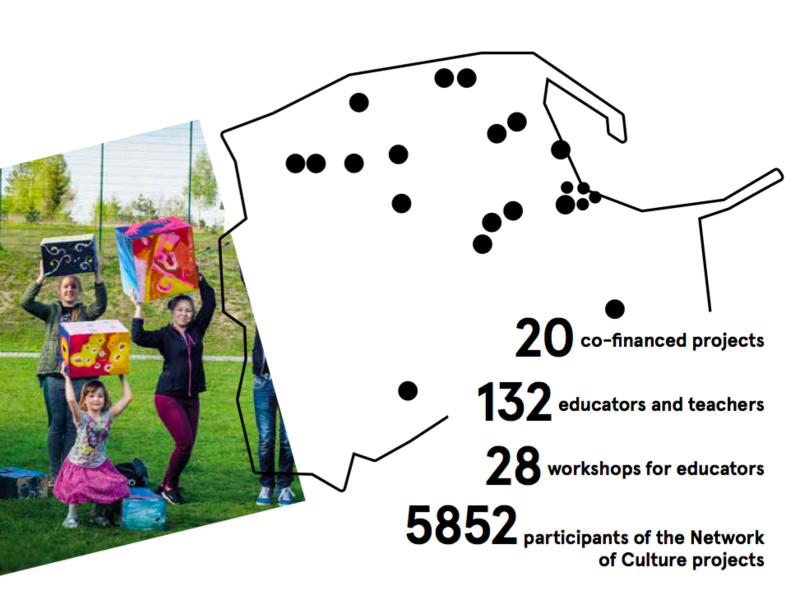 The network of Culture is a programme supporting persons involved in cultural education in the region. Our aim is to improve the quality of activities offered by community culture workers, teachers and educators, and help foster partnerships between educational and cultural institutions. The Network of Culture encompasses grant competitions, sharing ideas, workshops and consultations. The Network of Culture. Cultural Education in the Pomeranian Voivodeship forms part of the nationwide programme Very Young Culture.